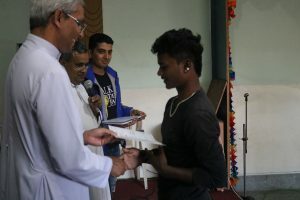 Certificate handover for three months trainee; Computer and Electrical were organized by Don Bosco Institute Nepal on 24th September 2017. Among a total of 16 trainees including Beautician, and Tailoring who were Financially supported by NJSI seven were from Computer and Electrical section have completed their three months training. 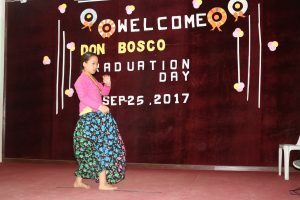 Respected Father and Teacher distributed the certificate and wish them for their successful life endeavors. Student thanks the institute and NJSI for the support that institute provide for them. 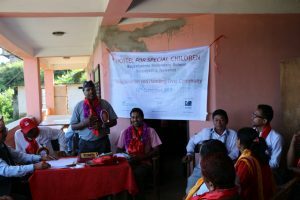 Two Special Children Hostel Handover Ceremony in Nuwakot. 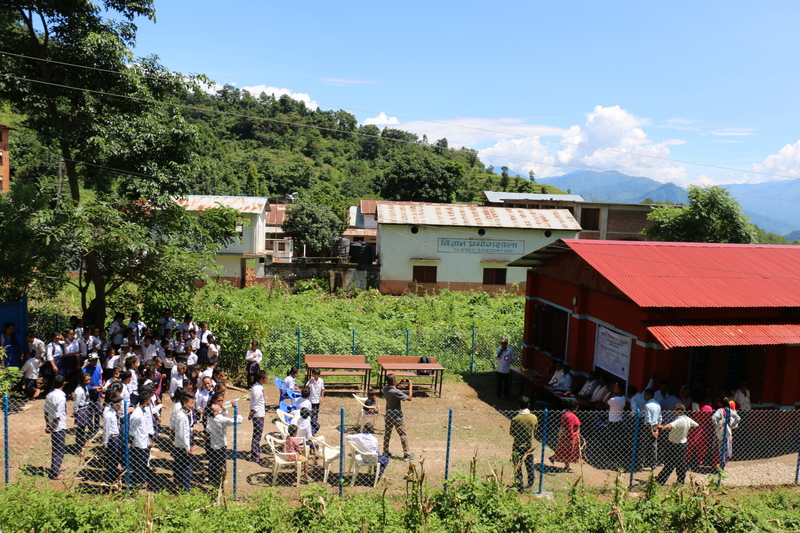 On 12th of September 2017, two schools Bhairabi Secondary School Ashokbatika and, Bhageswari Secondary school Chokade Nuwakot special children’s hostel was handed over. Handing over Ceremony was started with the National anthem and the NJSI director Fr. 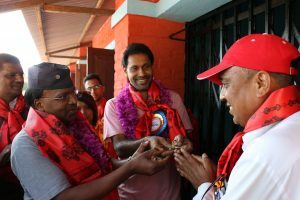 Roy and NJS (Nepal Jesuit Society) Superior Fr.Boniface Tigga handed the key of the hostel to the school management authority. After the completion of handing over ceremony, NJSI distributed the blankets for each special children in both schools and wished them for the bright future endeavors. 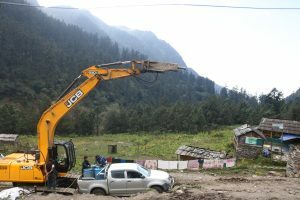 28-kilometer road construction from Somdang to Tipling is going as per the plan. Coping the geographical hindrance and climatically challenging situation till now we are able to complete 6 km distance from somdang. 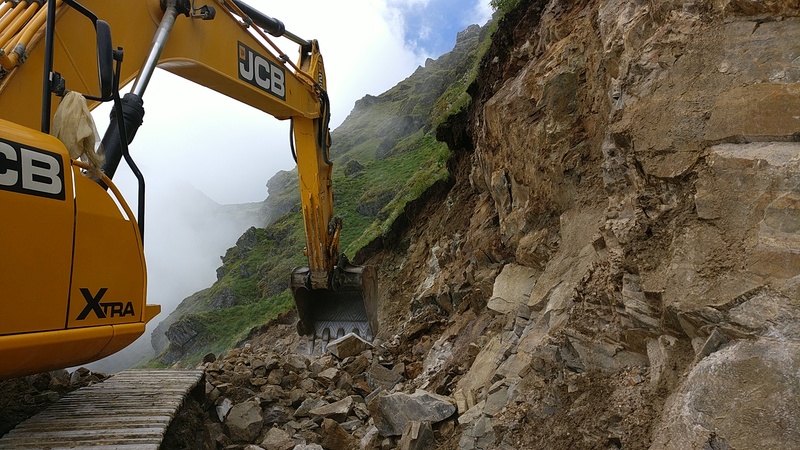 Mr. Pradip the operator for road construction emphasis that the road construction project is going far better then what he has ever thought in first sight. He also added that local people from the Rubi valley community are happier and always thanks the NJSI for their commitment and support to make such impossible things to make dreams come true. 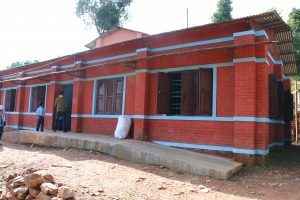 Handing over of multipurpose women’s hall for women at Teenkanya, Sindhuli was held on 10th September 2017. 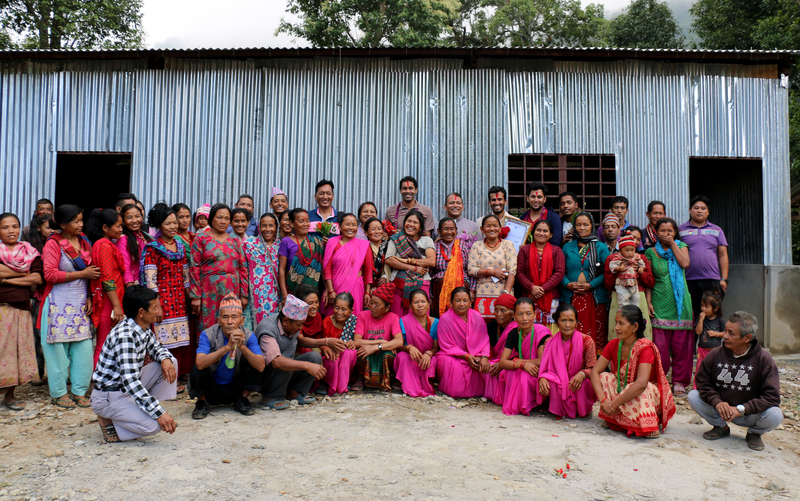 The handing over ceremony was conducted in presents of community members including the team from NJSI and Relief Nepal. The construction of hall was supported by NJSI in coordination with the Relief Nepal, Sindhuli. The ceremony was lightened up by welcoming through tika and garland by the local community. Father Roy Sebastian S.J. the Director of NJSI hand over the key to the local women’s community group. Fr. Roy Sebastian, Fr. Mathew and Mr. Khusraj Poudel the Executive Director of Relief Nepal along with team member thanks to the community for their cooperation and also encourage them to make the best uses of the hall.